Interview with Mr. Pich Keo, archaeologist and curator (part 2). Q. 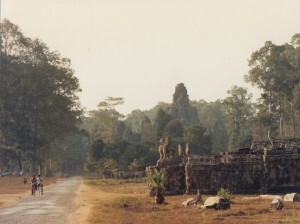 When you arrived in Angkor on the 15th of January, 1979, what was it like? Interview with Mr. Pich Keo, archaeologist and curator. Mr Pich Keo: I finished my studies in 1971; I have a degree in science d’archaéologie. 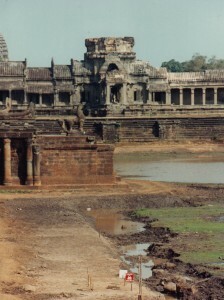 In 1973 I became deputy curator of Angkor. In 1974 and 1975 I became interim curator. In April 1975 after the Khmer Rouge came [to power in Cambodia] myself, my family and all my workers were taken away from Siem Reap [the town nearest to Angkor]. We were taken to a place about fifteen km east of Siem Reap. Everyone, my sons and my colleagues from Angkor Conservancy, became farmers. Every day and every night we worked hard in the rice fields to make dykers and small canals for water. Very hard work and very little to eat – for four years. Some of our workers died – killed by the KR. About twenty – they were accused of being military in the Lon Nol regime. And most of them died of nothing to eat. All families lost member. I lost my mother, father and grandfather in 1975 – nothing to eat. My father-in-law, my mother-in-law, my brother and sister and sister-in-law, they were taken to Kompong Chhnang province and all of them died. 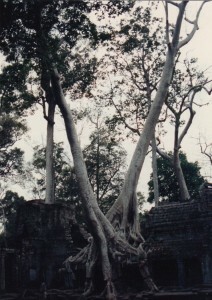 My wife was still with me in Siem Reap and was still alive. My younger brother was also alive, but he was living separatelyy from the family. 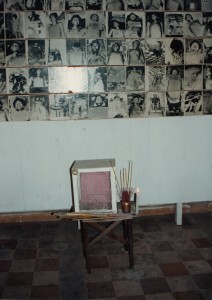 Just after Liberation – which was on January 10th (1979) in Siem Reap – 7th January in Phnom Penh; three days later in Siem Reap. Immediately, with some of my workers I came to Siem Reap, walking. No bicycle, nothing. We had to walk and we decided to come to Angkor directly. 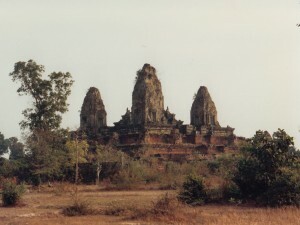 On the 15th of January 1979 myself and my family, we came to live in front of Angkor….